On December 16, the House of Representatives passed the Jobs for Main Street Act with $75 billion of the total $154 billion measure to be used to create or save jobs related to highways and transit, school renovation and school personnel, police and firefighters, small business, job training and affordable housing. The Senate hopes to take up its own version of the bill by late January, and it appears unlikely the Senate bill will be as large as the House legislation. Part of the package is a $23 billion “education jobs fund,” and House Speaker Pelosi cited averting teacher layoffs as one of the main purposes of the legislation. The education jobs fund would be in addition to the $100 billion provided under the American Recovery and Reinvestment Act (ARRA). Local school districts and states could use these funds to save teacher and other employee positions and also for school modernization, renovation, and repair. States would not be able to use these funds, as was allowed under the ARRA State Stabilization Fund, to replenish reserve funds, nor would governors have discretion to redirect education jobs funds to other government services. In addition, this money comes with none of the education redesign assurances in the ARRA stimulus legislation, such as teacher distribution and improving state data systems. LDA has long acknowledged through the work of the Mental Health Committee that individuals with specific learning disabilities often also have mental health and emotional challenges. Those challenges may manifest themselves in children and youth with SLD through depression or anxiety, frustration from school failure, and low self-esteem. In addition, for adolescents and teens with SLD who have not received proper academic supports, the incidence of substance abuse is greater and the risk of drop-out is higher. In order to provide its members with up-to-date information and to represent the needs of individuals with SLD, LDA participates in coalitions and activities related to addressing mental health needs. LDA Policy Director Myrna Mandlawitz was recently elected Secretary of the National Consortium on Child and Adolescent Mental Health Services (NCCAMHS), a coalition that will celebrate its 40th anniversary this year as a national forum for sharing information on the mental health needs of children and youth. More…. LDA has participated in NCCAMHS for many years. Coalition members range from the American Academy of Pediatrics, the American Psychiatric Association, and the National Alliance on Mental Illness to organizations representing school-employed mental health providers. LDA’s representatives, Ms. Mandlawitz and Justine Maloney, use this forum to raise awareness of the mental health issues facing children and youth with SLD and to advocate for more and better services to meet these needs. 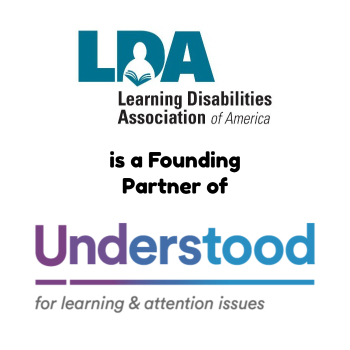 Developing partnerships with like-minded national organizations through this and other coalitions gives LDA a stronger voice in Congress on education, health and mental health, and other arenas that affect the lives of individuals with learning disabilities. 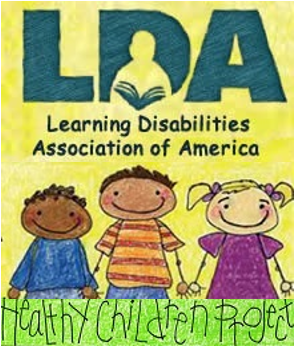 Consistent with its mission to address challenges impacting the lives of individuals with specific learning disabilities, LDA is joining as a supporting organization to celebrate National Children’s Mental Health Awareness Day on May 6, 2010. This year’s focus is on positive mental health as an essential element of children’s healthy development, particularly from birth into early childhood. The goals of Awareness Day are to encourage the integration of mental health into every environment that impacts child development, nurture the social and emotional well-being of young children, and help families identify and understand the social and emotional developmental milestones. Ten years ago the National Federation of Families for Children’s Mental Health established Children’s Mental Health Week during the first week of May. In 2005 the Center for Mental Health Services in the Substance Abuse and Mental Health Services Administration (SAMHSA) piloted “Children’s Mental Health Summit Day” during Children’s Mental Health Week to highlight the success of SAMHSA’s systems of care. That pilot has evolved into an annual celebration, including a briefing on Capitol Hill with celebrity spokespersons such as Goldie Hawn and Howie Mandel and experts in children’s mental health, public service announcements, community events on the annual theme, and an evening event showcasing the resiliency and talent of youth with mental health needs. Community-based activities are being organized around the country for Awareness Day 2010. LDA hopes to connect interested members who wish to participate in these activities with local planning committees. In addition, there will be a national early childhood forum in Washington and an “Awareness Day Turns 5 Birthday Party and Children’s Mental Health Fair” in DC featuring family- and child-friendly events focused on the arts. LDA will be acknowledged throughout as a supporter of this important celebration. In June, News in Brief reported on the Government Accountability Office report on the misuse of seclusion and restraint in schools. In response to that report and congressional testimony, in Rep. Miller (D-CA), Chairman of the House Committee on Education and Labor, and Rep. McMorris Rodgers (R-WA) introduced the Preventing Harmful Restraint and Seclusion in Schools Act (H.R. 4247) in December. A companion bill, S. 2860, was simultaneously introduced by Senator Dodd (D-CT). These bills would require the Secretary of Education to establish minimum standards for the use of restraint and seclusion. School personnel would be prohibited from using any type of restraint or aversive intervention that compromises student healthy and safety and would be allowed to use physical restraint and seclusion only in situations of imminent danger of injury to the student or others. 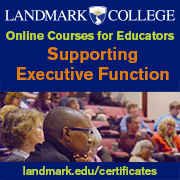 In addition, school personnel must receive regular training in the use of safe behavior management techniques. The bills also prohibit writing restraint and seclusion into a child’s IEP and require prompt parent notification if these techniques are used. The bills are currently awaiting committee action.